There are currently 3,920 users on this website. Found this one in the mix of some good oldies. From my understanding, every position on the sheet had design differences. Plus, it also had been extensively forged. There are just too many curve balls for me as a general WW collector to narrow it down to a specific SG number. Anyhow, I tried, and vaguely believe that it is SG #21. There are some, what looks like plate scratches as well. Would love to get some feedback. Oops, I didn't know we have one. I thought that US and Canada only have their own forums. Thank you Peter for advise. I'll try to get a hold of someone. 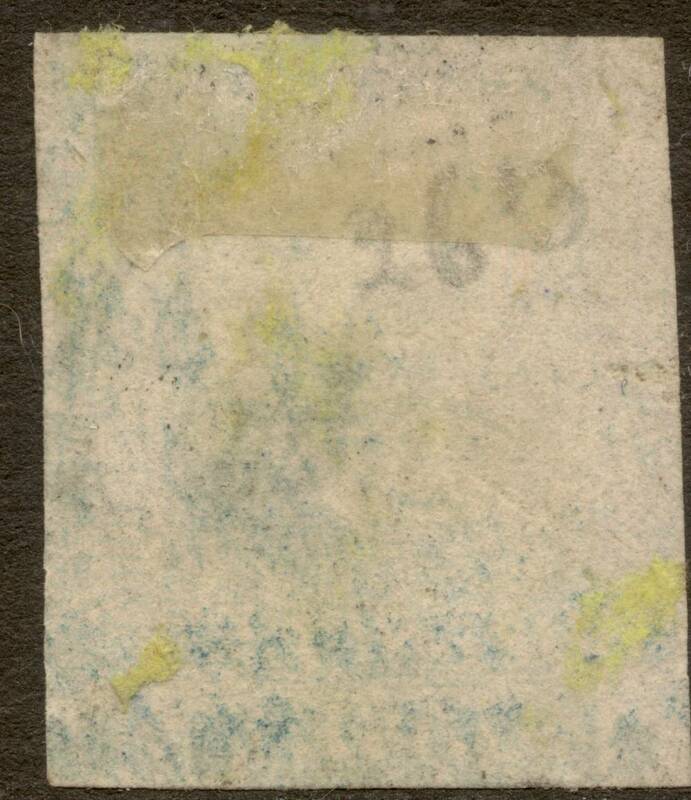 Unquestionably a forgery, most likely by Spiro. The stars in the corners and the 'cancellation' are the giveaways. 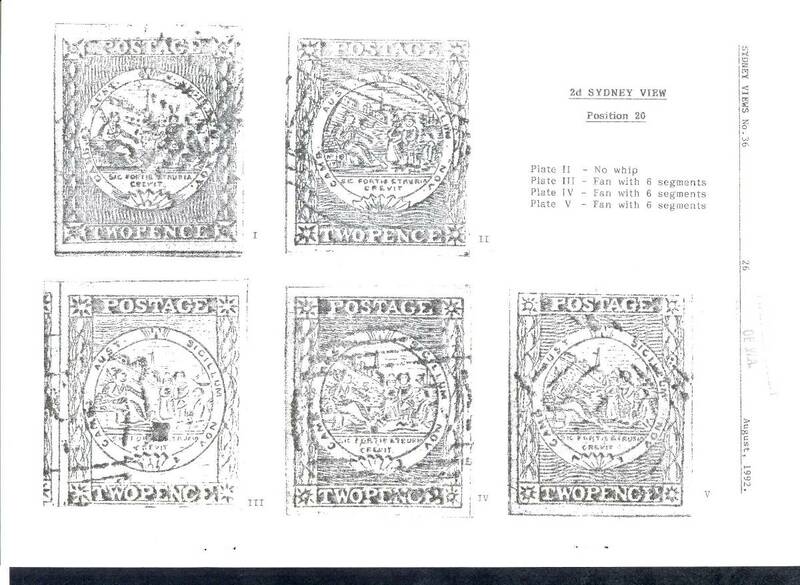 Further to danko's original post, yes each stamp was engraved on the plate individually. There are 2 plates of the 1d, 5 of the 2d (and retouches on pate 2) and only 1 plate of the 3d. The 1d and 3d are plates of 25 (5x5) and the 2d is a plate of 24 (2 rows of 12). 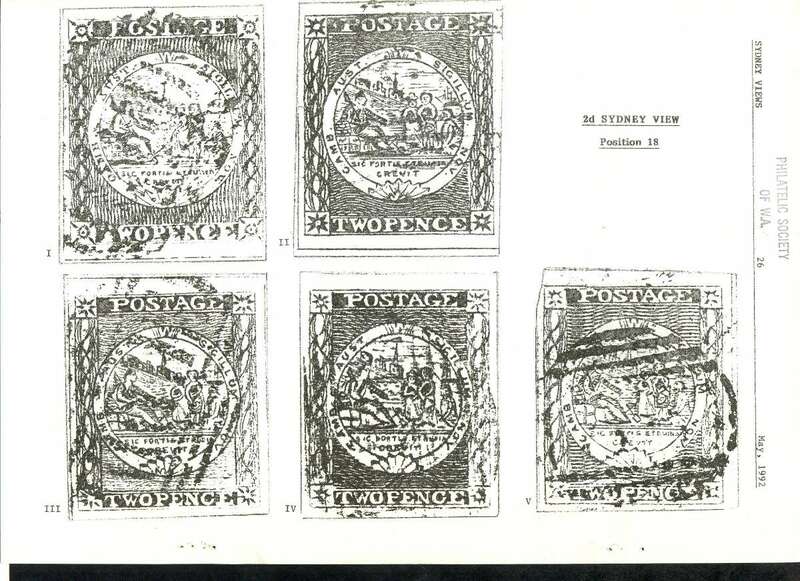 The Sydney Views are amongst the most famous of plateable stamps and were wildly popular way back in the day. They're also notable for not having the name of the issuing entity on them! Dang it. Forgers 2 - danko 0. Bobby, Rod thank you all very much. Rod do you have more of those position pages? 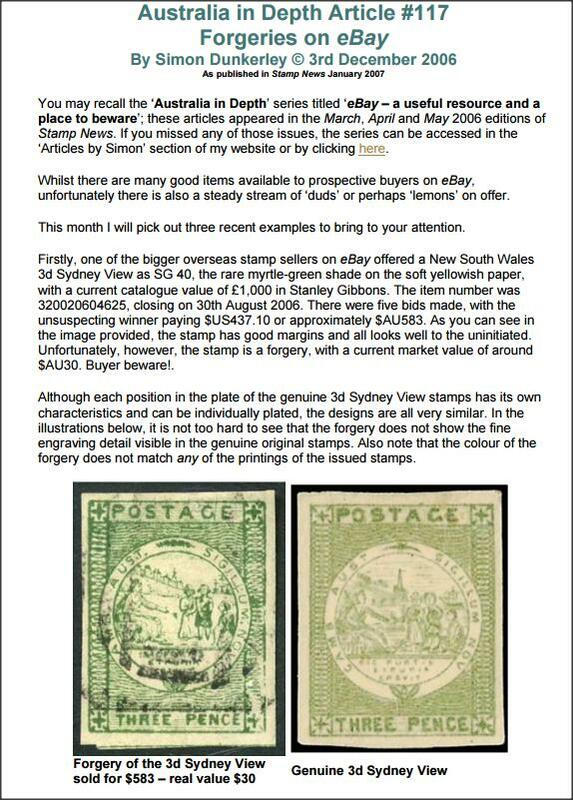 I would think those are invaluable resource in sorting through "Sidney Views"
I'll see if I can find some online. You are right, cancels did look very suspicious. Also, paper looked off to me. 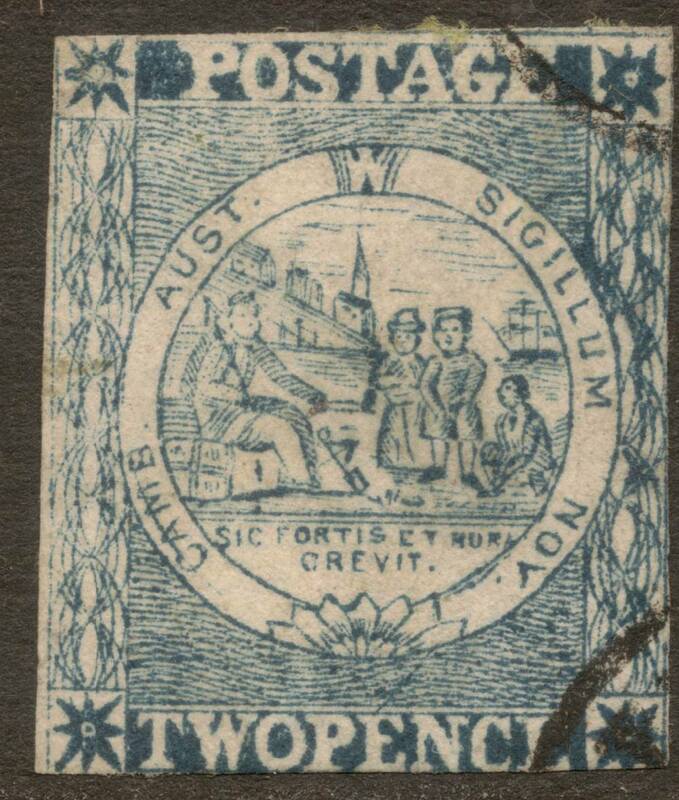 It should be wove, I'm not an expert in paper, but it looks nothing like wove paper on early US stamps. It looks ... "fibery"? I can help with plating Sydney Views. The one you showed from the Kelleher auction is position 2. The tells that I used (and there will be others) are, in clockwise order, two dots in the star, the position of the dot in the star, the void areas at bottom left x2. As for the paper, I quickly checked my literature and can't confirm this but I would imagine it was manufactured in Sydney. Charles Kay was the first supplier of paper (December 1849). The January 1851 accounts include Charles Chapman (for colours & Materials supplied) and Dawson & Thompson ( for articles supplied) and in June 1851 from William Ford (2 accounts for paper supplied). 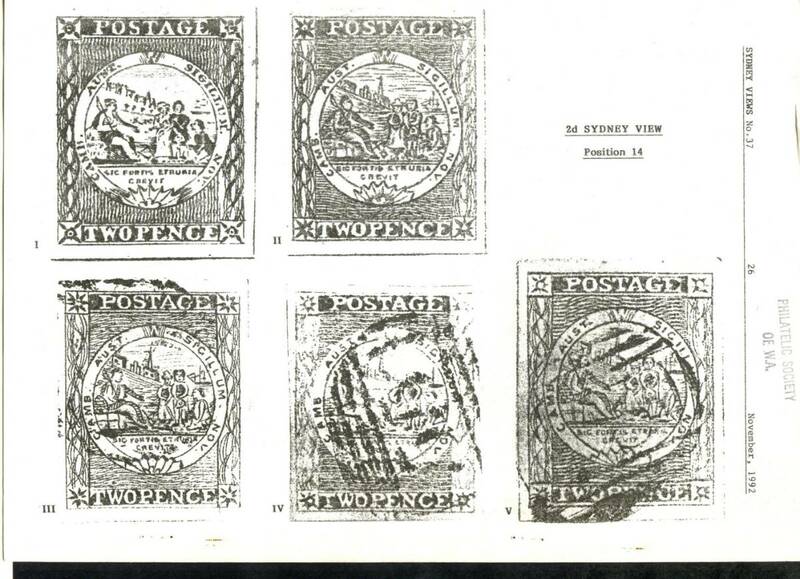 Over the various printings of the Sydney Views a variety of papers were used so the different suppliers probably give us a good clue as to why. 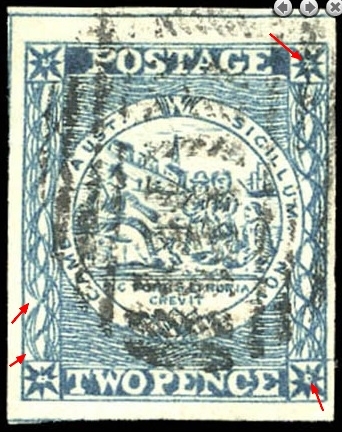 Comparing the paper on which primitive stamps from different countries/states/etc. are printed is unwise IMHO. There will be so many inconsistencies due to local manufacture. been through 2000 magazines, no luck so far. 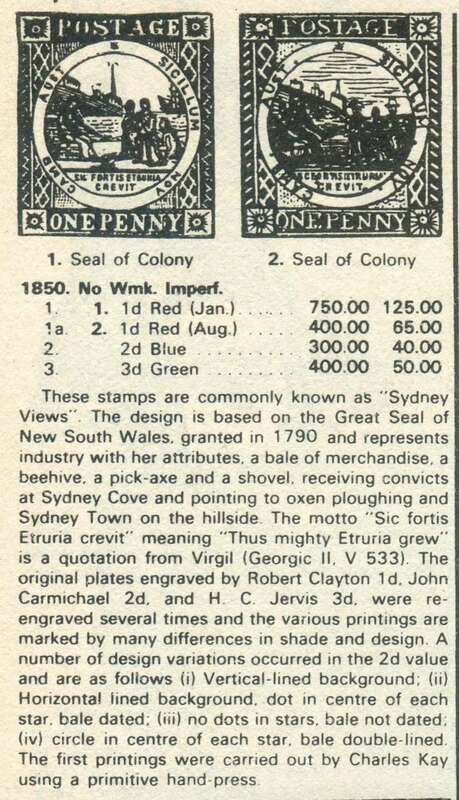 The Magazine is called "The Sydney Views" not to be confused with the stamps. It looks like they just plopped stamp position randomly on each penultimate page. 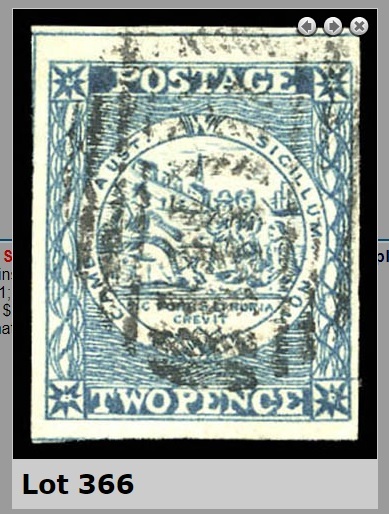 The motto is "Thus, Mighty Etruria grew"
The Stamps, commonly known as the "Sydney Views", the design of which was based on the Great Seal of New South Wales. from New South Wales, and asked him to design a seal in Clay. shovel, receiving (Freeing) convicts, at Sydney Cove, and oxen ploughing on the hillside of Sydney Cove. (Georgic11, V533) suggesting the similarity between how Sydney may grow as Rome. The cute thing that makes me smile, is the connection with Wedgewood, his Pottery factory itself, was located in Etruria, Staffordshire England. What a man, a prominent abolishionist, and a big thumbs up. The 'Sydney Views' magazine is the quarterly journal of the Australian States Study Circle. I possibly would have gone to $100. They are full of juicy information. Still value at $190, I pay $5 -$8 for a singleton, if I like the contents.